This is your chance to win invites to this posh event.Just do two things, it's that easy. 2. 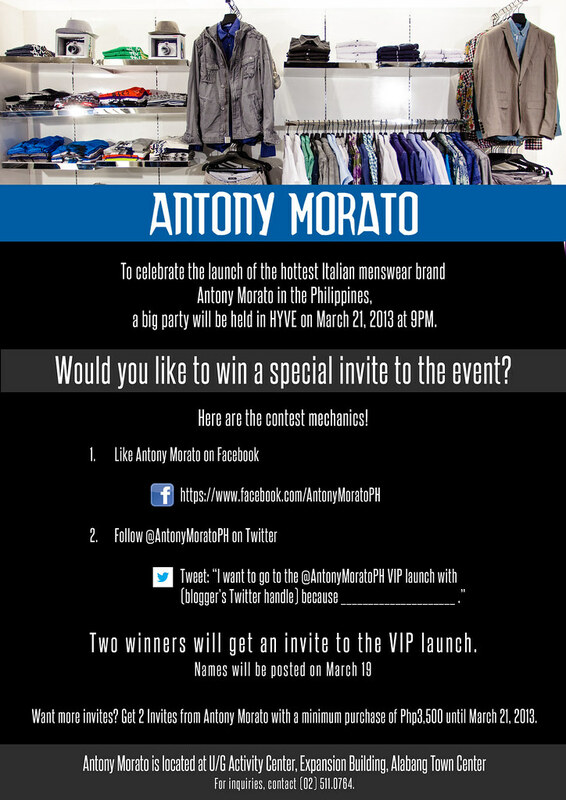 Follow them on Twitter @AntonyMoratoPH and tweet this! "I want to go to the @AntonyMoratoPH launch with @kumagcow because __________."